Russian prosecutor and masked people came to Crimean lawyers. Kurbedinov was handed over a "caution"
Employees of the Russian Center for Combating Extremism came to the office to the human rights activists of the Crimean Solidarity Public Association in the annexed Crimea today, November 6. 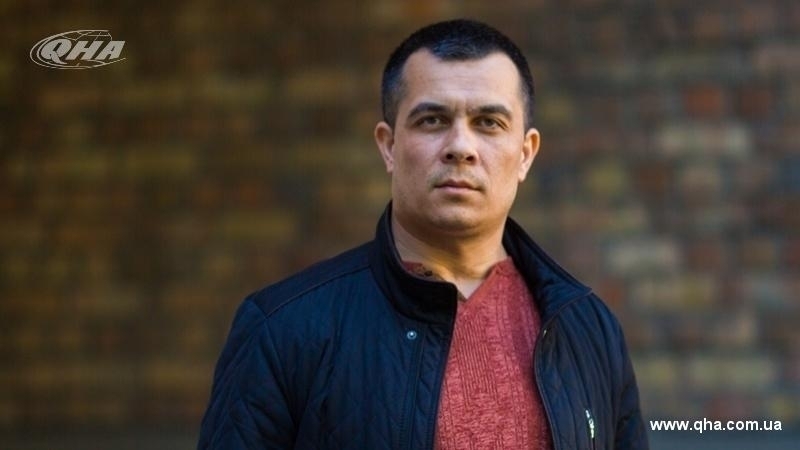 Security officials handed a warning to the Crimean Tatar lawyer Emil Kurbedinov. The corresponding video is published on Facebook page of the Crimean Solidarity. Valentyn Chuprin, Senior Prosecutor of the Prosecutor's Office of the Crimea, said that the had handed Kurbedinov a document warning him against "illegal actions". The CrimeaSOS public initiative coordinator, Tamila Tasheva, remarked on Facebook that masked people who did not present their documents came along with the "prosecutor". Russian lawyer Nikolai Polozov noted that security officials came allegedly because they had information about the preparation of lawyers for a series of single pickets in support of their defendants. According to Polozov, "employees of the Center for Combating Extremism made up the idea, but they present it as data received during operational activities." Polozov wrote that if someone holds unauthorized mass events in the near future in Crimea, it will be provocateurs of the Center for Combating Extremism. Lawyer Edem Semedlyaev called the incident a pressure on lawyers who deal with politically motivated cases. Lawyers have begun the process of appealing these cautions with requests on operational-investigative activities carried out against them. On October 27, employees of the Russian prosecutor's office along with unknowns in masks came to the meeting of the Crimean Solidarity public association. Lawyers Edem Semedlyaev, Lile Gemdzhi and coordinator of the public association Crimean Solidarity Dilaver Memetov were warned about preventing violations of the legislation in the field of extremism.